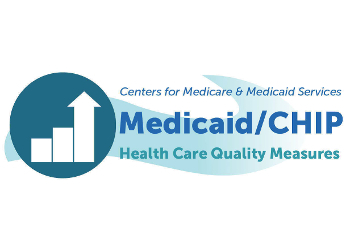 In April 2016 CMS published a final rule requiring that all states implement a quality rating system for Medicaid managed care plans over a period of three years. The goal is to increase transparency in Medicaid and CHIP, allow States to compare plan performance, and empower consumers to consider health plan quality when selecting a plan. Some state Medicaid programs have already developed quality rating systems and are reporting voluntarily to CMS. To encourage standardization, CMS has published core sets of measures for children and adults and corresponding reporting methodology. States will be able to use an alternative methodology or adopt additional measures, as long as they are “substantially comparable” and approved by CMS. A health risk assessment (HRA) can identify health risks and gaps in care corresponding to these core measures. Assessment results can be used by your care management system to stratify members into risk groups, target resources, and deliver the most effective interventions. Summary reports delivered at your provider portal can initiate provider actions to address health risks and preventive care. The Medicaid population has specific needs and your health risk assessment should include questions that measure physical and emotional health, lifestyle behaviors, and socioeconomic health factors. If you are considering a commercial product, be sure it is configurable to add or remove questions to meet your state requirements. Health literacy considerations require that the questionnaire is written in plain language at sixth-grade reading level. Additionally, completion rates will improve if the questionnaire is available for completion on a smartphone, as a paper form, or facilitated by a health navigator by phone or in person.